Want to Convert AIFF to MP3 and Vice Versa? Almost everybody faces the problem of unsupported formats in media devices at some time. Unlike the more popular MP3 format, AIFF is one of those formats used in professional video and audio software because the sound in AIFF is encoded with no loss of quality. Like any uncompressed file in a different format, AIFF files require much more disk space than their compressed equivalents. But many people would be happy to have the same music in MP3 format and keep more space available on their PC and Android or iOS mobile devices. You can easily solve this problem with the help of Movavi Video Converter for Windows and Mac. This software supports audio conversion between almost every media format, and even video-to-audio conversion. One more reason to make conversions from AIFF to MP3 is that MP3 files are much smaller in size than AIFF, so you can save a lot of space on your media player or hard drive. Download and install Movavi’s AIFF to MP3 converter and check out the tutorial below on how to convert AIFF to MP3 files. It may sound challenging to convert a large number of videos to a different format all at the same time. 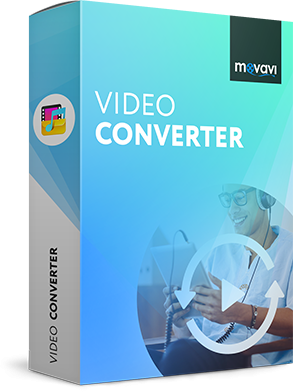 In this instance, however, the fast and convenient Movavi Video Converter offers you rapid, stable batch conversion, so you can convert as many files as you need all at the same time. To learn more about how to convert AIFF to MP3 with no effort and keep it high quality, download the Windows or Mac version of the program and follow the instructions below. Download and open the installation file and follow the instructions on your computer screen to install the software. Go to Add Media > Add Audio and find the AIFF files you want to turn into MP3 files. Now open the folder containing those files, and add them to the program. Open the Audio tab and select the MP3 category, then choose the desired preset from the list. To create an MP3 music for a specific mobile device, open the Devices tab and choose the preset for that device. After the conversion is finished, the files will be saved to the Movavi Library default folder. You can continue with this folder or change to a different one by clicking the Folder icon. Now click Convert to launch the conversion process. When the converting process is finished, the folder with the converted files will open automatically.